ethereal vocals, ambient and sensual with a touch of the ancient Celt - a woman's journey into the unchartered waters of the feminine and beyond. Music as an awakening - Aeone is multi level listening. Clear ethereal vocals rise above full ambient grooves. Contrasting dulcimer and Uilleann pipes and other woody instruments lie in lush and cinematic tracks with a touch of the ancient Celtic. Hypnotic and sensual - the unfolding of the nature of a woman in all her many guises - Aeone takes you through the journey of her life in a tapestry of story, voice, sound and rhythm, from which you may not return the same. 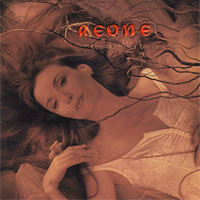 Aeone - an "Englishwoman in Los Angeles" is a self-confessed Renaissance woman and quintessential artiste/songwriter/composer. Some very early success in the Eurovision Song Contest in Europe sent Aeone packing to the States and a full circle to her Celtic roots. She teamed up with writer/prod/eng Jeff Silverman and worked on her debut album "Window to a World" Rincon/Rhino - pioneering a blend of Celtic sounding music with a pop feel blending fiddle, banjo and mandolin. This lead to work in film and tv, and songs in a number of tv series such as Santa Barbara and vocals on sound tracks including the voice of "Tanya" for an "American Tail" and "18th Angel" for Rysher. Her songs have been recorded by Rick Springfield and Shari Belafonte amongst others. More recently she has moved into the world of scoring and is "stealth on the radar" with her unique style using vocal as emotion behind picture. She scored the pilot "Spy Girls" for Universal/USA and has had music in a number of trailers including the upcoming "The Messenger" Luc Besson's new film about Joan of Arc. And here you have Aeone's brand new album "The Woman's Touch". Don't miss it. Any fan of artists like Peter Gabriel, Laurie Anderson, Kate Bush or Paula Cole will feel right at home with Aeone. A provacative lyricist and remarkably innovative songwriter, Aeone crosses centuries of Celtic tradition with modern improvisational overtones and jazzy twentieth century enthusiasm. Picture scottish bluefaced Picts scrimmaging with rapping New York gang members, then strip away the testosterone. Aeone's sound is lush and rich with feminine beauty and pride. Men will walk away with a new outlook on how to appreciate women, who will feel renewed and vindicated after hearing this album. One of my first and best over the 'Net purchase choices.